“Their long and comprehensive experience as well as their excellent reputation in the field of colour cosmetics will further reinforce and strengthenFaber-Castell Cosmetics’ operations and services on the Italian market. Moreover, this strategic partnership, a perfect mix of expertise and creativity, will allow to develop and offer attractive and advanced products,” explains Faber-Castell in a release. 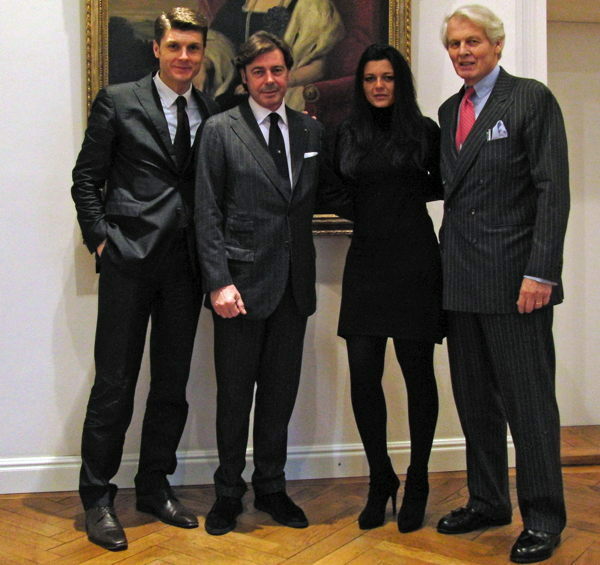 From left to right: Stefano Castelletti (Faber-Castell Cosmetics) Renato Ancorotti, Enrica Ancorotti (Ancorotti Cosmetics), and Count Anton Wolfgang von Faber-Castell. In 1984 Renato Ancorotti founded Gamma Croma, a company that rapidly grew as a worldwide leader in colour cosmetics. In 2009, together with his daughter Enrica, he founded Ancorotti Cosmetics with the aim to produce make-up for third parties focusing on mascara and, thereby, on eyes make-up (eyeliner, kajal, eyeshadow, eyebase). In 1978, Faber-Castell transferred its know-how in the manufacture of pencils into the cosmetic field. Focusing on colour cosmetics and nail care, Faber-Castell Cosmetics is recognized today as one of the leading private label cosmetic manufacturers worldwide. The company operates through production sites in Germany and Brazil and sales organizations in 14 countries.